We represent people throughout the Orlando and Central Florida area in child support modification cases. If you are seeking a child support modification, call us today to speak with one of our experienced Orlando child support modification lawyers. At the Wilson Law Firm, we work to protect your interests and to assist you in resolving your situation in an effective and efficient manner. An existing order regarding child support is subject to modification if there is a substantial change in circumstances. Typically, a party may decide to seek a modification if their has been a change in their or the other parties income, or if there has been a change in the amount of time sharing between the parties and the child. If you know a few basic factors such as the time sharing arrangement, the other parties income, the daycare costs (if any), and the health insurance costs for the child, a guideline calculation can be done to see if a modification would be warranted. The child support guidelines may provide a basis for proving a substantial change in circumstances in child support modification cases. However, the difference between the existing monthly obligation and the amount provided for under the guidelines must be at least 15 percent or $50, whichever amount is greater, before the Court may find that the guidelines provide a substantial change in circumstances. 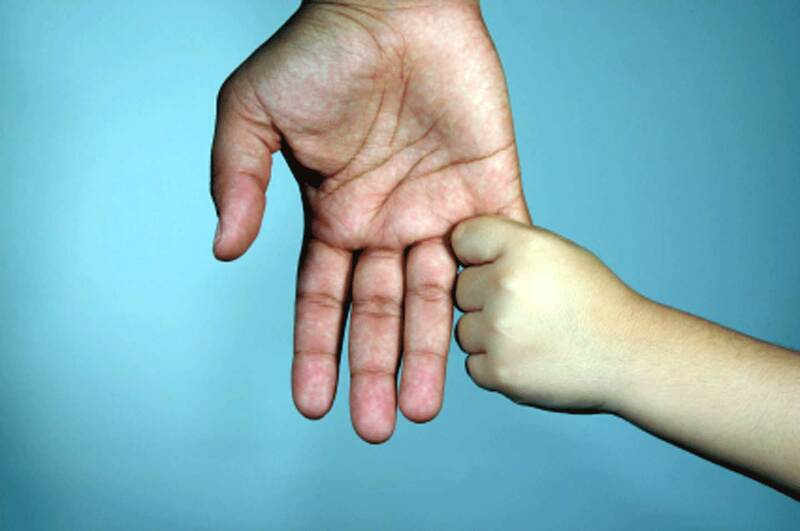 Child support is also a right of the child and cannot be waived by the parents. In some cases, parents enter into an agreement regarding child support that are contrary to Florida law and which will not binding upon the Court. Speak with one of our Orlando child support modification lawyers before you enter into any agreement regarding child support. Child Support is calculated pursuant to Florida Statute 61.30, which uses a formula that primarily considers the income of both parents, child care costs, medical insurance and expenses, and the amount of time the child spends with each parent. If the Court is going to order payment of child support modification in an amount that varies more than 5 percent from the guidelines, it must make a written finding explaining why the guideline amount is unjust or inappropriate. The following are some of the factors that may be considered by the Court in its decision to adjust the minimum child support amount: 1) Extraordinary medical, psychological, educational, or dental expenses. 2) Independent income of the child, not to include moneys received by the child from supplemental security income. 3) The payment of support for a parent which regularly has been paid and for which there is a demonstrated need. 4) Seasonal variations in one or both parents’ incomes or expenses. 5) The age of the child, taking into account the greater needs of older children. 6) Special needs, such as costs that may be associated with the disability of a child, that have traditionally been met within the family budget even though fulfilling those needs will cause the support to exceed the presumptive amount established by the guidelines. 7) Total available assets of the obligee, obligor, and the child. 8) The impact of the Internal Revenue Service Child & Dependent Care Tax Credit, Earned Income Tax Credit, and dependency exemption and waiver of that exemption. The court may order a parent to execute a waiver of the Internal Revenue Service dependency exemption if the paying parent is current in support payments. 9) An application of the child support guidelines schedule that requires a person to pay another person more than 55 percent of his or her gross income for a child support obligation for current support resulting from a single support order. 10) The particular parenting plan, such as where the child spends a significant amount of time, but less than 20 percent of the overnights, with one parent, thereby reducing the financial expenditures incurred by the other parent; or the refusal of a parent to become involved in the activities of the child. 11) Any other adjustment which is needed to achieve an equitable result which may include, but not be limited to, a reasonable and necessary existing expense or debt. Such expense or debt may include, but is not limited to, a reasonable and necessary expense or debt which the parties jointly incurred during the marriage. Attorney Joel Wilson has over 15 years of experience and has handled thousands of cases during his legal career. He understands both the legal and emotional issues involved in child support modification cases and is an experienced trial attorney. Most child support modifications can be resolved without the need for a hearing, however, when a case cannot be resolved except by the Court, you will want an experienced trial attorney to present your side of the case in a persuasive and effective manner. In many cases, people who fail to seek legal representation later discover that they have made critical mistakes, due to a misunderstanding of the law and how it relates to their unique situation, which have devastating consequences in regards to their children or financial situation. At the Wilson Law Firm, we work to protect your interests and to assist you in resolving your situation in an effective and efficient manner. 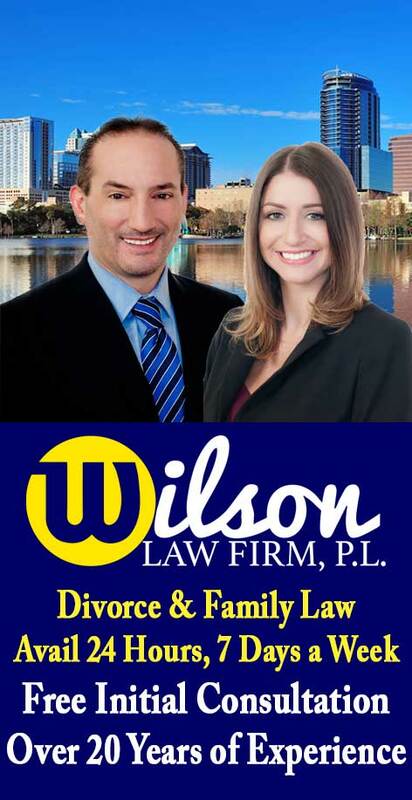 Child Support Modifications – The Wilson Law Firm provides a free initial consultation with an Orlando child support attorney and Orange County Florida family law lawyer. Call us today to speak with an experienced Orlando child support attorney about the legal process and your rights.